Are you the person that friends and family are going to, asking about how to do “this” or “that” with their gadgets? Then we want YOU! We’re looking for tech savvy individuals to join our Helpertech team! This is PT position at our Eagan store, with flexible hours from 10-20 hours per week available. Hours typically between 3-6 weekdays and 10-3 on Saturday. We’re open 8AM to 6PM Monday through Friday, and 10AM to 3PM on Saturdays. 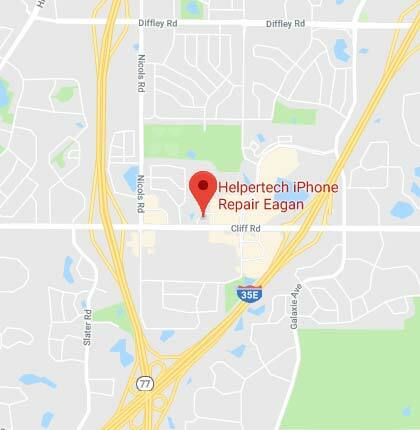 Technicians provide service and repair for iPhones, iPads, Android smartphones, Android tablets, and other electronic devices at our Helpertech stores. PT Shift – typically working select weekdays between 3PM and 6PM, Saturday 10AM-3PM, and some possible flex time during the week (schedule permitting). Must be able to regularly lift heavy loads (25+ lbs) and be on your feet for long periods of time. Must be able to proficiently read, write and speak English. Must be able to retain training via book, video and hands on methods. We have opportunities for experienced service technicians as well as those with no prior experience (complete training provided). Pay is typically between $13-18 per hour. We offer a $10/hr base wage PLUS bonus, incentive, and commission plans to provide a great overall wage, with the ability to make upwards of $20+ per hour for those who are motivated.